Ah, Bette Midler, or The Divine Miss M, as she has rightfully dubbed herself. She is a singer, songwriter, actress, comedian, and film producer with a career that has spanned almost half a century. Over the course of her career, Midler has won three Grammy Awards, four Golden Globes, three Emmy Awards, and two Tony Awards. She has also sold over 30 million records worldwide and has received four Gold, three Platinum, and three Multiplatinum albums by RIAA. To celebrate her birthday on December 1st, I’m going to take a walk through four of her award-winning movies. Synopsis: Bette Midler astounds audiences with her electric performance as Rose, a rock-and-roll diva oozing with talent. Her Svengali-like manager, Rudge (Alan Bates), runs her life and forces her to tour constantly – though alcohol and drugs seem to be Rose's true masters. Only her boyfriend, Dyer (Frederic Forrest), and her music give her any semblance of joy. But is that enough? What a way to “begin” a career! 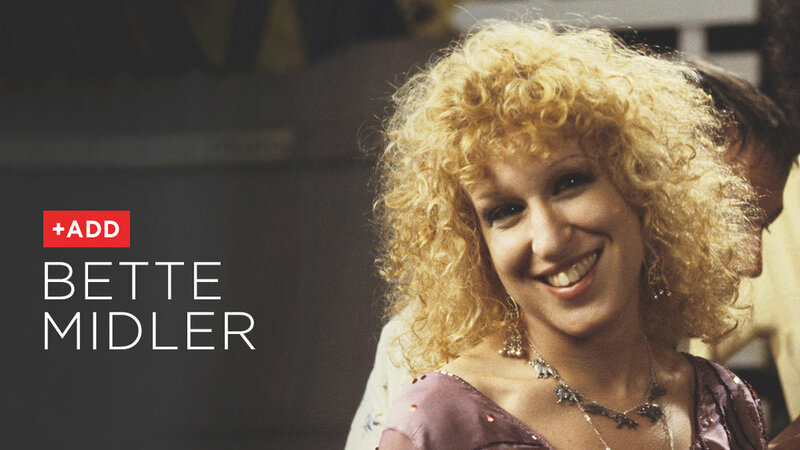 Sure, Midler had some small parts before The Rose, but this performance really kicked off her career and she even received an Academy Award nomination for Best Actress (as well as a couple Golden Globes and Grammy!). It’s a gritty story with some fantastic rock and roll and The Divine Miss M shows that nobody could have played this role better than her! Synopsis: Starring Bette Midler and Lily Tomlin. Separated at birth, two sets of twins – one posh, the other blue-collar – cross paths some 40 years later on the streets of Manhattan, setting up a hilarious story of mistaken identities, split personalities, and trouble times two. I feel like there were a lot of ‘switched’ movies in the ‘80s, where the lead character was like a fish out of water in a new situation. This one had TWO amazing leads, Bette Midler and Lily Tomlin (who I currently LOVE on Grace and Frankie!). Midler won an Academy Award for Funniest Actress in a Motion Picture for this one. If you haven’t seen this movie in a while (or ever), throw on some leg warmers, get a Tab, and enjoy! Synopsis: Hillary (Barbara Hershey) is an unprepossessing WASP and Cecilia (Bette Midler) is an aspiring Jewish nightclub singer. But what began as an improbable friendship on the Atlantic City boardwalk becomes an unbreakable bond that's tested repeatedly when the chips are down. As the girls come into adulthood, they alternately fight over the affections of the same man (John Heard) and help each other manage their complicated lives. I don’t even know how many times I’ve watched this movie, but I’ve cried EVERY SINGLE TIME. This movie is basically the epitome of a ‘best friends’ movie and is so incredibly heartwarming and emotional, in the very best way. Although there are certainly sad parts, Midler actually won a People’s Choice Award for Favorite Comedy Motion Picture Actress. Synopsis: Three old college chums reunite for the funeral of a friend who committed suicide after her husband dumped her for a younger model – only to realize they're all in the same predicament. They then form a troika and plot payback against their exes. Not only did I love this movie, but the book was fantastic. In fact, in additional to re-watching (or watching for the first time) The First Wives Club movie, I highly recommend reading Olivia Goldsmith’s books (some favorites are First Wives Club, Young Wives, and Dumping Billy). Bette Midler, Goldie Hawn and Diane Keaton have great chemistry and this movie is full of laughs. Midler was nominated for an American Comedy Award for Funniest Actress in a Motion Picture and the cast won Best Acting by an Ensemble at the National Board of Review Awards. It’s a super fun movie and I know I was totally rooting for the ladies to get their revenge!